It was International Women's Day 2016 (for those who do not know, it was 8th of March) and Tailored Accounts launched its first interstate representative office in Parramatta, Sydney. The event was a success thanks to supports from all our partners and clients who dragged themselves out of work to celebrate with us. This year, Tailored Accounts will be involved in the ANU College of Business and Economics (CBE) Internship Program as an industry partner. The program aims to establish win-win linkages between the College and our industry partners across public, private and not-for-profit sectors. 2015 came to an end the first month of 2016 is nearly over, and truth to be told, I couldn’t be more excited about the remaining of 2016. When it comes to marketing, positioning is a strategy which aims to build a distinct position of your firm in the mind of your target customers in comparison with your competitors. Very commonly, businesses try to claim their products or services to be better or the best in the industry. I would like to begin with a story which most of you are familiar with. Steve Jobs and his friend built the first boards for their first computer, the “Apple I”, in Jobs’ garage. But the “Apple I” was not the first computer! Tailored Accounts is a rapidly-growing, boutique back-office accounting and cloud integration firm based in Canberra City. The company is currently looking for an accountant to join our team in Canberra. This is a permanent position and the successful candidate is expected to commence in early November 2015. In the pursuit of becoming Canberra’s largest bookkeeping firm within the next five years, Tailored Accounts puts great attention on services quality. To attain that, we have adopted cloud accounting technology, and have partnered with several services providers in the field for time effective and cost efficient solutions to our client’s bookkeeping and accounting systems. In 2009, Tailored Accounts, then known as Harry’s Bookkeeping, was founded as a bookkeeping company. In 2012, to expand its services range to financial consulting and training, the firm was renamed to Tailored Accounts. Although bookkeeping still contributes greatly to Tailored Accounts’ annual revenue, Tailored Accounts aims to position itself as Canberra’s leading management accounting company in the next 10 years. Tailored Accounts has been proudly recognised by The Australian Business Awards 2015 as the ABA100 Winner for Enterprise. The award recognises Tailored Accounts’ outstanding success whilst undertaking bold new ventures. In 2010, Tailored Accounts was one of the earliest adopters of cloud accounting technology in Canberra, when most other businesses were still using desktop-based accounting softwares. The risk has certainly paid off for Tailored Accounts. The Australian journey of a happy migrant: A decade of hard works and success! “Hard work pays off”—this is a quote which Harry Hoang, Executive Director of Tailored Accounts, has always lived by. “Amazing”, “great”, “proud to be a client of Tailored Accounts”, “satisfied” and “successful” were the most heard feedback from our customers in the 2015 financial year (FY2015). From a one-person business six years ago, Tailored Accounts has morphed into a reputable business known for its high quality bookkeeping and management accounting services today. 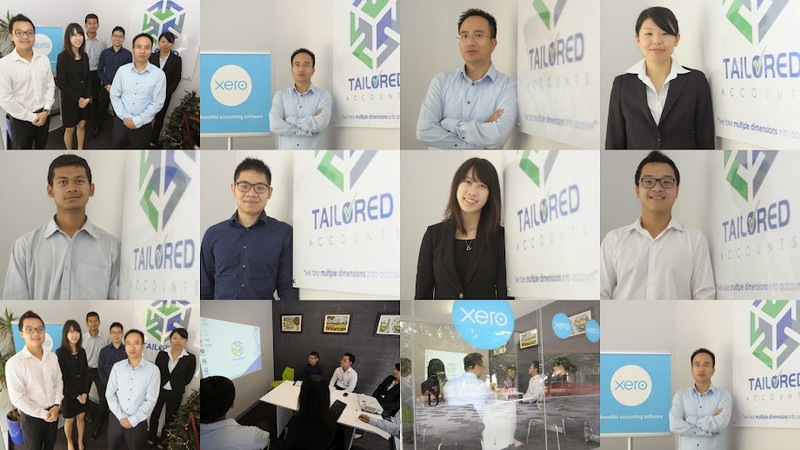 Tailored Accounts named as a Telstra Business Awards 2015 Finalist! 2014 was the first year Tailored Accounts was nominated for the prestigious Telstra Business Awards. This awards programme has been held annually since 1992 to recognise excellent and innovative businesses all over Australia. For more than 20 years of existence, Telstra Business Awards has promoted hundreds of successful small and medium businesses and attracted thousands of applications each year. Tailored Accounts is currently seeking an experienced bookkeeper who is able to work full-time and join our team of young and dynamic accountants immediately. We are thrilled to announce that Tailored Accounts became a certified GOLD Partner of Xero in May 2014. We are one of only three Xero Gold Partners in ACT. Our partnership with Xero lets our clients get the most of our expertise and experience. Do you know that Tailored Accounts is the ONLY Spotlight Reporting Partner in ACT? As an award-winning advanced reporting tool, Spotlight Reporting provides clarity and insight for business success. This is an ideal replacement for tired, traditional “management reporting”.